We had Toe Knee come out to our Cub Scout Blue and Gold Celebration, This was a group of mixed ages 5-85 and ToeKnee kept everyone smiling and interested! He is funny, enthusiastic and he LOVES magic. Everyone appreciated the interaction, you don't just sit and watch at Toe Knee's show, everyone is a part of the fun. We loved loved loved having ToeKnee out and can't wait to have him again! 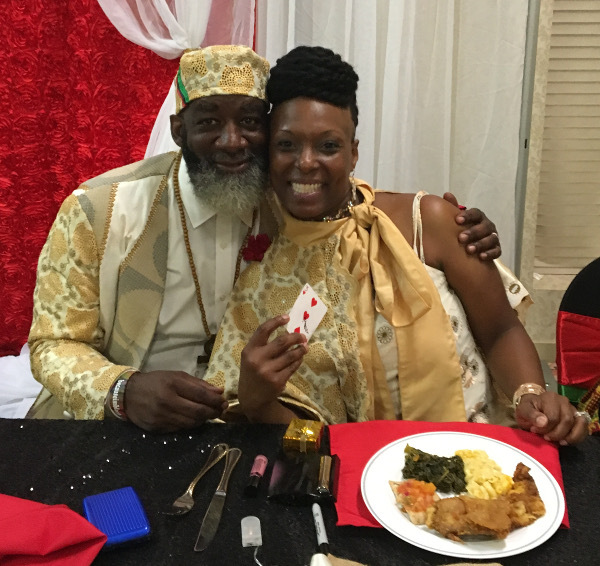 Rayna Johnson, Cub Master Pack #116 Pennsauken, N.J.
Hey, If your looking for some great family fun check out Toe-knee Street Magic at its Finest! I was contemplating what to do for valentines day. I didn't want to be bothered by the holiday crowd, so I invited some friends over to have a private dinner. I figured after dinner they would need to be entertained and I remembered going to a spoken word show in Trenton where this gentleman named Toe-Knee performed magic. So I called the number on the show poster. Toe-Knee came over and TOTALLY AMAZED my friends and I!! If you think Copperfield or Blaine are good, try Toe-Knee Street Magic at its Finest!! This man will have you MESMERIZED!!! 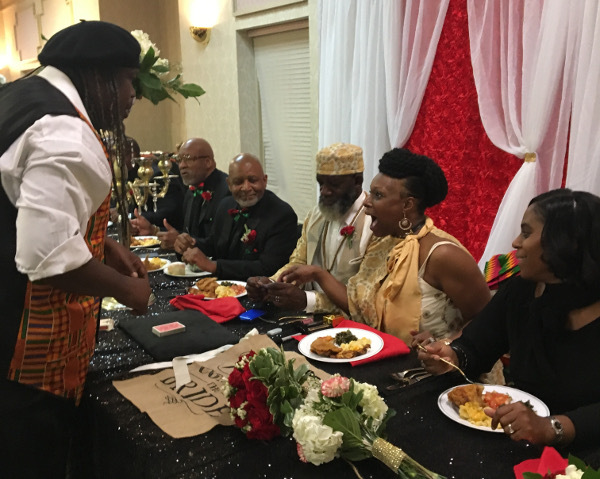 Although it's been a few months since you performed at the Friends of the Pennsauken Free Public Library fundraiser program, I still have to smile at the memory. 2) how you make each sleight-of-hand a fresh experience for every single audience whether it is 4 or 40 observers. Your ability to draw in both young and young-at-heart and connect with all walks of life is a wonder to behold. Your showmanship, polish and professionalism is a breathe of fresh air. I highly recommend your family-friendly show to everyone I speak with. Please feel free to use me as a reference. I also want to commend your willingness to participate in the planning and promoting of your show for our organization. Your enthusiasm and optimism energized those around you. It was a pleasure working with you. We hired you, (Toe-Knee), for our family reunion MEET and GREET day Thursday July 16, 2015. You were a great contributor to the event with your creativity and enthusiasm. 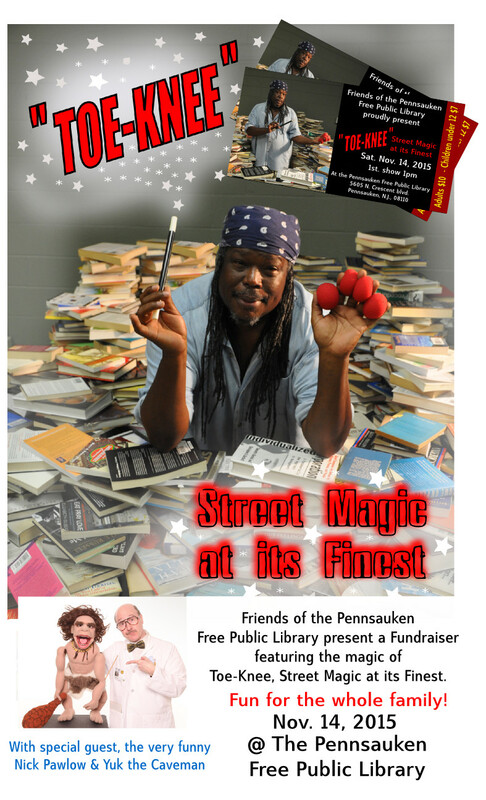 We hope that your Street Magic inspired someone in attendance. Again thank you for a great performance and we look forward to working with you AGAIN on many more celebrations. JOB WELL DONE. WOW, WOW AND WOW Hired Toe-Knee for our Children’s Kickoff/Summer Reading Program. He performed three successive shows and “wowed” the audiences each time. 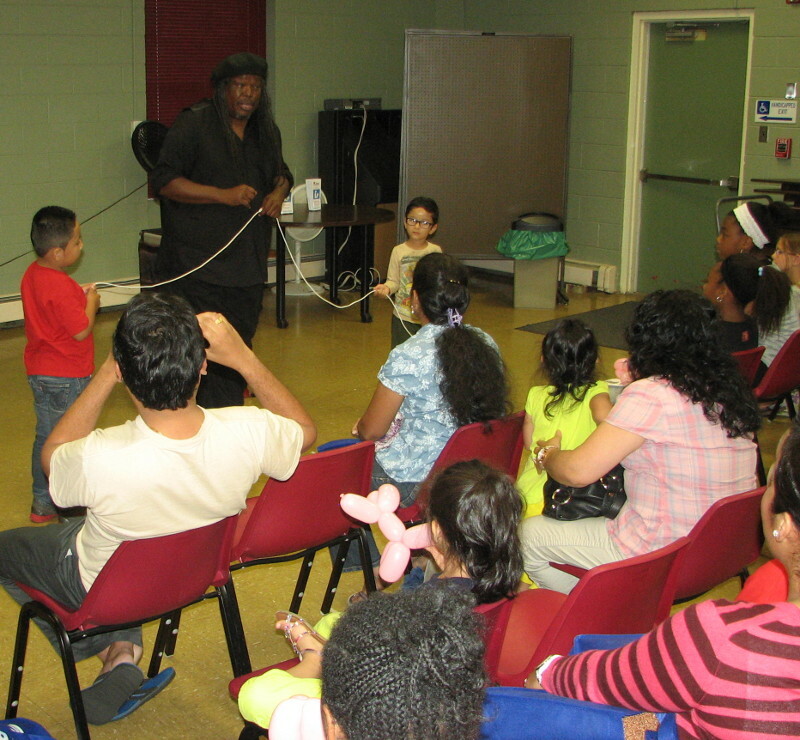 Engaging, entertaining and mystified everyone with his “tricks” of the trade. Certainly left me wondering each time! Anticipate he’ll be back with the Friends of the Library in the Fall and numerous other occasions. 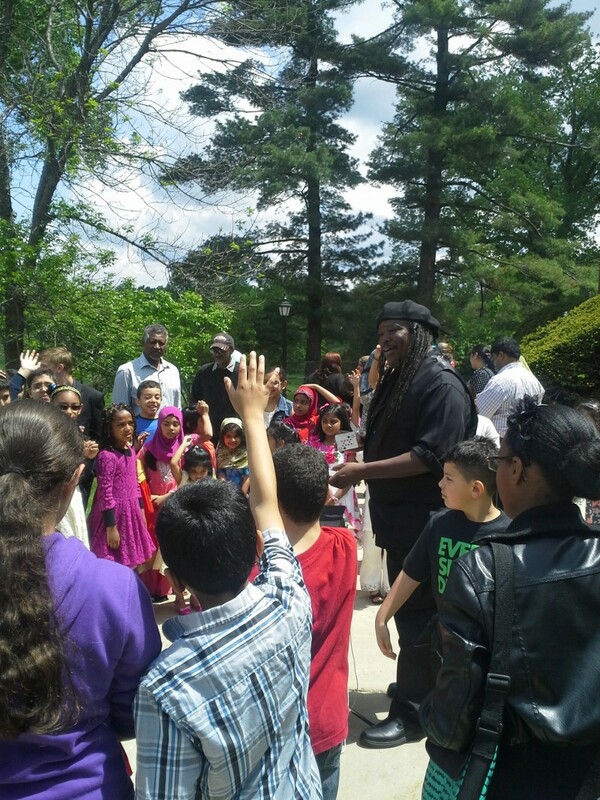 We hired Toe-Knee two weeks ago for our weekend school graduation party at Valley Forge Military Academy and College in Wayne, Pa. His show was truly entertaining and delightful to all ages. Both the children and the parents enjoyed his performance. I will definitely use him for similar future events. Those tricks were amazing !! Right in front of your eyes,even in slow motion, I don't know how he does it ! Toe-Knee performed his magic act at my girls baby shower, and just let me say, everyone was nothing less than AMAZED !!! Not only is Toe-Knee a fantastic magician, he's one of the nicest dudes ever! Wouldn't be surprised to see him on t.v. one day. Best of luck Bro' and thanks for making my train trip from Philly memorable !! Toe-Knee, Street Magic at its Finest....up CLOSE and PERSONAL,...in your FACE,... sleeves rolled UP,... NO SPECIAL EFFECTS. Catch him if you can, 'cause it don't get no better than this..... Bravo !, Simply AMAAAZING !! If you don't believe in magic meet Toe-Knee, and I GUARANTEE he will blow your mind. I was lucky enough to meet him while waiting for the bus and he showed me a couple tricks that were so crazy ! If you ever see this man take a couple minutes to be amazed. It really is Street Magic at its Finest ! I wanted to write to you and extend our most heartfelt and sincere thanks for performing at our Cherry Hill Philadelphia Eagles Grand Opening event. As I had discussed with you, I had first seen you in action when you performed at the Eagles Autism event this past spring. My husband and I enjoyed watching you and our kids simply think you’re a rock star magician. My kids couldn’t stop talking about you after that day. (My son has the piece of rope he was given after you completed a trick that day that sits on his shelf with a sign he made of your name to this date!) When the time came to open the new store and we were kicking around the idea of entertainment for the lines while they waited, I knew you would be the perfect addition. Prior to the event, I have to say that it really was a pleasure speaking with you. Your ever positive personality was refreshing!! Upon the day of the event, you arrived sporting your Eagles gear which was outstanding. You also created a custom sign to attach to your table which was an added touch. The personalization in your presentation did not go unnoticed. While our group waited in line, you kept them in awe by setting up where the group could all watch. Then you took the time to walk the line performing close up magic. It is fantastic how you interacted with our customers that day, both young and old. Asking our customers to wait in line in the heat was a risky move but thankfully, you made it fly by for them. You also interacted with our other entertainers that day which really kept the excitement going! From our mascot, Swoop, bowing down to you after WOW-ing him with your skills to the Eagles Pep Band playing Abracadabra while you performed, completely unplanned… it was PERFECT!!! We look forward to a continued working relationship with you in the future and I will personally refer you to any and all who are looking for an entertainer such as yourself. I am a 56 year old grandmother, and a huge magic fan who has seen magic shows from Las Vegas to Atlantic City. However, upon watching Toe-Knee perform, I realized I found a unique performer. Toe-Knee is the REAL DEAL !! I was simultaneously mesmerized and hypnotized by the mastery of his art. Toe-Knee makes the spectators feel like they are part of the show. No tricks up his sleeve. I hired Toe-Knee on two separate occasions, twice in one month. Once for our family reunion, and later the same month for my sons fortieth birthday party. My family had a great time and still continue to rave about Toe-Knee, Street Magic at its Finest. We will be hiring him again and again.